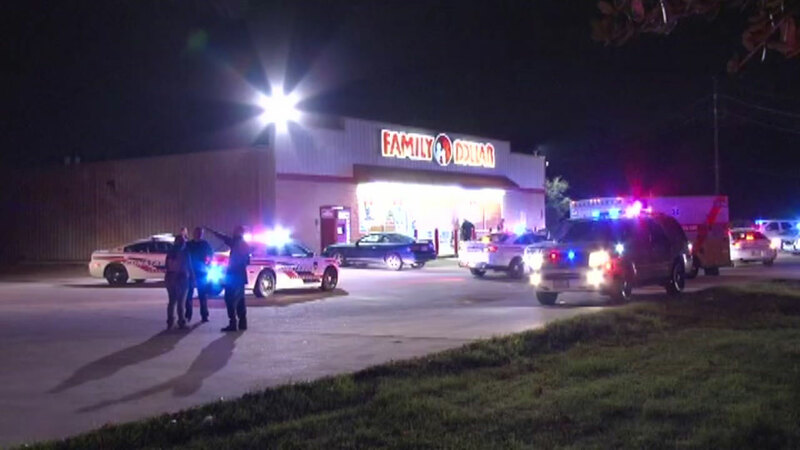 HOUSTON (KTRK) -- A Family Dollar store in north Harris County turned into a crime scene Tuesday night. It happened on Kuykendahl and Ella. We're told two men got into a fight at an apartment complex nearby. One person shot the other three times. Officials say that suspect then continued to shoot as the victim ran toward the store's parking lot. Ultimately, 13 shots were fired. The victim walked to the business where he collapsed. He then was rushed to a hospital. We don't know his condition. Authorities have not yet said whether any suspects have been arrested.